I grew up on Chicago’s South Side without a father, like many youths of inner city families. Fortunately, my grandparents and mother instilled in me good morals. I am glad I stayed in school because this helped mold and guide me into what I could and should be doing today. After graduating high school, I should have gone straight to college but I chose the street life. The street life led me to being shot four times and ultimately put me in a wheelchair. I stayed at the Northwestern hospital for about two weeks and the doctor told me I would never be able to walk again. After the two weeks, I was transferred to Cook County hospital where I stayed for about a month. After the hospital, I was transferred to the Cook County Jail for two and a half years. From the Cook County jail, I was sent to the Dixon Correctional Facility and finished the remainder of my 10 year prison sentence. In October 1999, I was released from the Dixon Correctional Facility. I knew I had to do something with my life for I did not want my life to go to waste. The summer of 2000, I enrolled at the Olive-Harvey City College. While educating myself, it opened my mind and eyes to many ideas. From these ideas, I held part-time jobs as well as teaching and adapting myself and my body to society. I felt I was on the road to being a success. 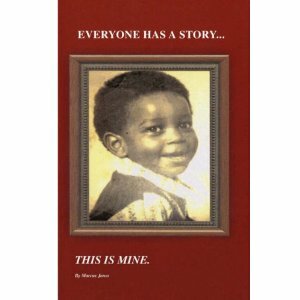 In 2004, I start writing my autobiography, Everyone has a story…This is mine. The book was finished in the summer of 2007 and I self published the book in January 2008. My voice is one that needs to be heard amongst the youth, our communities and in schools in Chicago and beyond. I want everyone to know that you can make it and you can be successful. I believe I can and I will! I am very passionate about life and educating others through my experiences and knowledge. I did not always feel like this. I was once passionate about money, cars, clothes, jewelry and the street life. Today, I am living more responsible and on the road to success. I have learned many things in my life before my injury but even more after my injury. My age is a constant reminder of where I need to be in my life. Life is so precious to me and it should be to everyone as well. I want people to see everything from my view for a moment, wheelchair mind set, wheelchair eating, laughing, and being sociable. The way my day begins, the way I put on my pants, shirt, socks and shoes. I just want everyone to accept everyone and not worry about the money or being materialistic. I want people to accept everyone for who they are because everyone’s human. I learned never to prejudge anyone for you never know when you may need someone’s help. I love myself and whoever loves me. I even love people who do not love or know me. Why should someone be mad at somebody else’s life? Life is everything. Once you are gone, you are gone. People should try to live everyday as if they want to see tomorrow. Try to live a very long life. The estimated time on earth for humans is about 60 years but I am trying to live until I am 80 years young and beyond. I enjoy reading, attending cultural social events and communicating with the people in the community to inspire, uplift, motivate, and putting hope back into the youth. Hey Marcus. I love your passion and honesty. Keep going Man you are an inspiration to all ages. Thank you! I apologize for this so, so late response. I’m dedicating myself full fledged to my blog now. You will be able to see my everyday activities and upcoming events moving forward. Thank you.